Last August, the original founders of People Can Fly formed a new studio named The Astronauts. 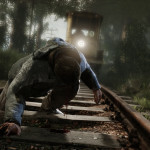 With the announcement of The Vanishing of Ethan Carter seven months ago, we have yet to see any in-game screenshots or have any major details revealed about the game. That changes today, however. 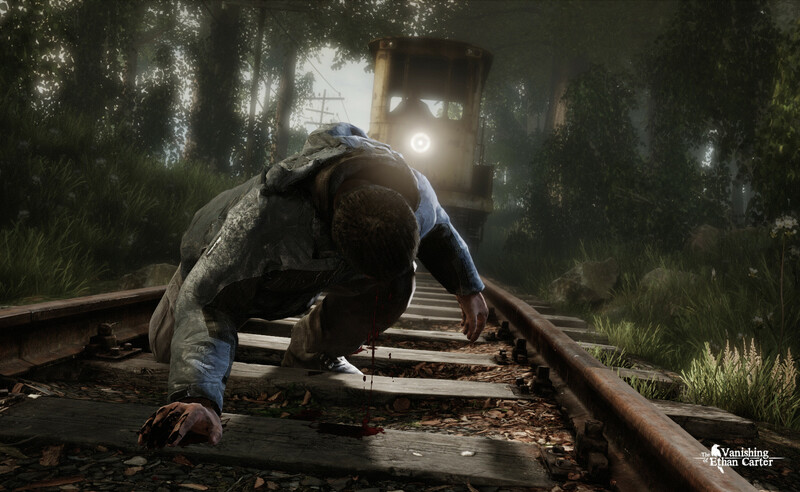 The studio has released four in-game screenshots for The Vanishing of Ethan Carter today, along with going over the very first plot details. You’ll play as Paul Prospero, a detective who receives a letter from Ethan Carter and realizes that he’s in danger. Ethan has vanished in the wake of a terrible murder, and Paul quickly realizes that there may be more than just this one murder to took place. Below, we’ve included more information about the game as detailed by the game’s studio. 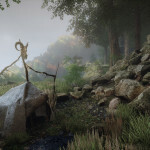 Via a First-Person Perspective, you explore and interact with the environment in order to discover the truth. Paul has a supernatural gift that allows him to visualize the final moments of anyone who’s been murdered. The more clues you discover, the clearer and longer Paul’s vision. Exactly how much you are able to discern from a corpse is entirely up to you. You might discover the motivation of the murderer, or find a hint of where to go next – or both. Why are you making this game? We believe video games are a largely untapped medium for powerful storytelling possibilities. Every developer with a deep interest in the storytelling side of gaming uses different ways to let players live through a story: from interactive dramas like The Walking Dead to story-exploration games like Gone Home to online adventures like Journey. 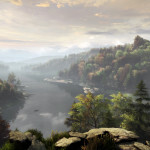 The Vanishing of Ethan Carter is our own attempt to tell a multi-layered story while keeping the player completely immersed and constantly engaged-with the unique sense of presence only video games can offer. What kind of horror game is it? The Vanishing of Ethan Carter is a “weird fiction” horror, meaning our focus is on atmosphere, mood, and the essential humanity of our characters. 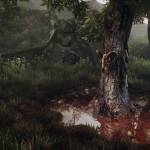 With its mixture of a beautiful world with the haunting and macabre, this story is for adult players. That said, there is no combat in our game. If our game leaves any scars, you won’t be able to see them. Also, we want gamers to experience the story of Paul and Ethan at their own pace, and without the need for sedatives. It’s less about pure terror and more about clammy unease. We’re currently developing the game for PC, but we’re hoping to eventually bring it to next-gen platforms. We’re in full production, but we don’t have a set release date. It’s a question of months, however, not years. It seems likely that we’ll see the game release on both the Playstation 4 and Xbox One, but only time will tell if we see it outside of the PC platform. What’s your opinion on the very first in-game screenshots? Are you excited or disappointed to hear that the game likely won’t feature any cut-scenes? Be sure to let us know what you think by leaving us a comment below, or continue the discussion on Facebook and Twitter.